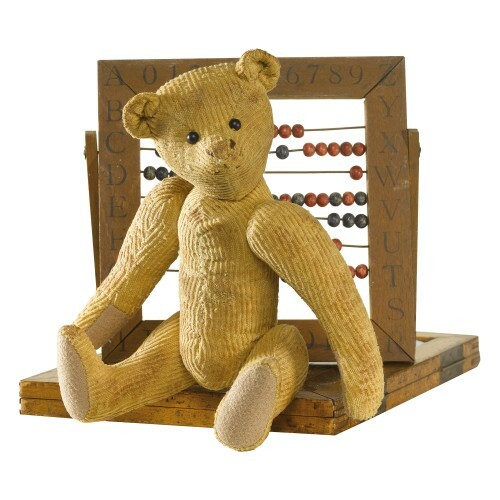 Made of aged, golden brown cotton corduroy, Cordy has black glass eyes and felt paws. His linen nose and mouth threads appear ‘loved away’. The original Cordy came to Ian in early 2015 with a large collection of vintage German soft toys. Amongst these was this little 1910-1915 corduroy bear by a mystery German maker.